Ironwood, MI October 11, 2017 – Michigan’s Gogebic Community College was named today as one of 150 community colleges eligible to compete for the 2019 Aspen Prize for Community College Excellence, the nation’s signature recognition of high achievement and performance in America’s community colleges. Gogebic Community College was selected from a pool of nearly 1,000 public two-year colleges nationwide to compete for the $1 million Aspen Prize. 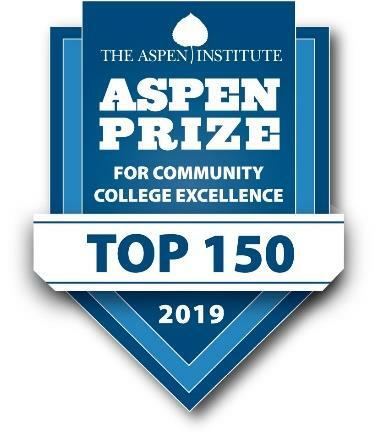 Gogebic Community College will move forward to the next round of the competition for the Aspen Prize for Community College Excellence by submitting an application to be reviewed through a rigorous evaluation for a spot on the top ten Aspen Prize finalists list. Top ten finalists will be named in May 2018. The Aspen Institute will then conduct site visits to each of the finalists and collect additional quantitative data. A distinguished Prize Jury will select a grand prize winner, finalist(s) with distinction, and rising star(s) in spring 2019.